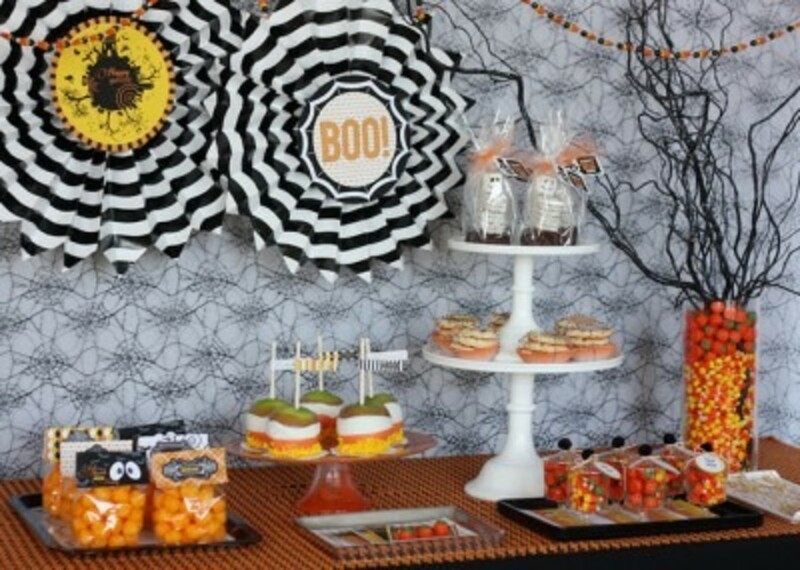 Ending my Halloween 2011 series (see invites, partyware and treats) with amazing parties seemed perfect, especially if you are needing last minute Halloween party ideas…. 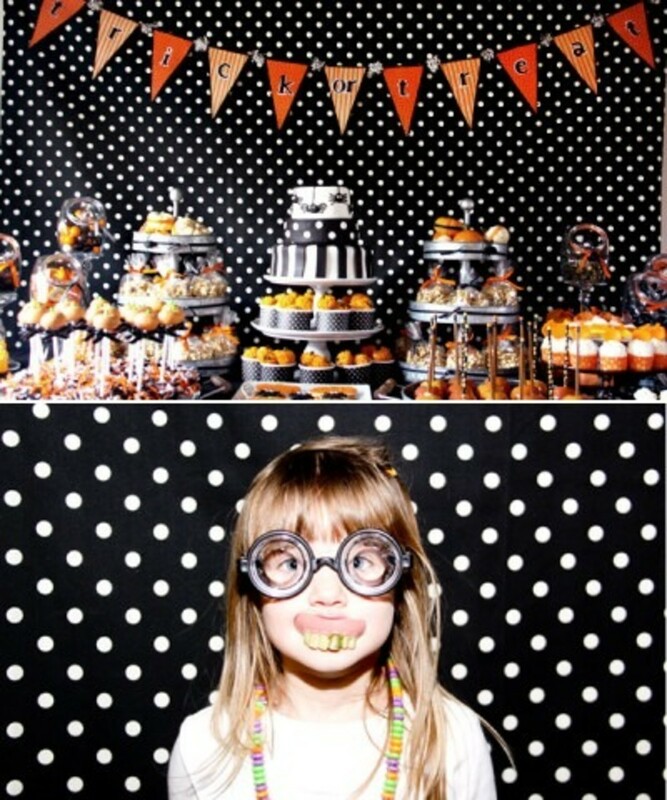 The Smith Family’s fun soiree has cuteness galore…sand-witches, pumpkin bowling, and photo ops! 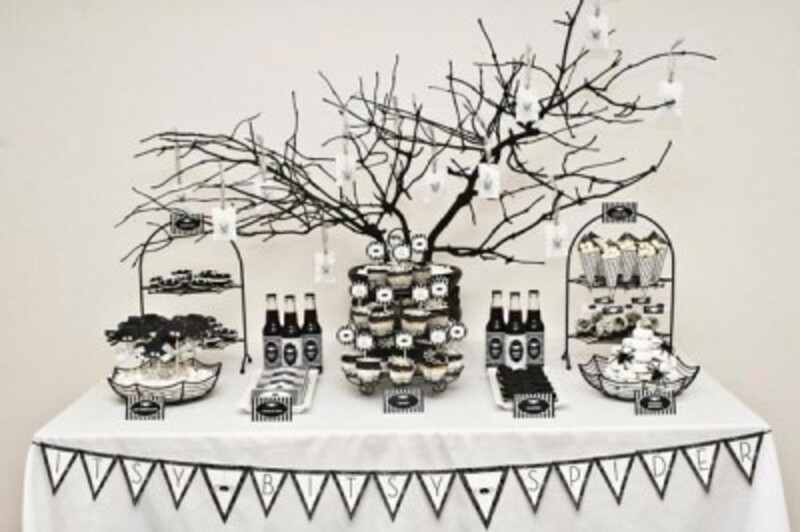 A zombie party from local gal Hank And Hunt featured on Cupcakes & Cutlery has lots of fun details. 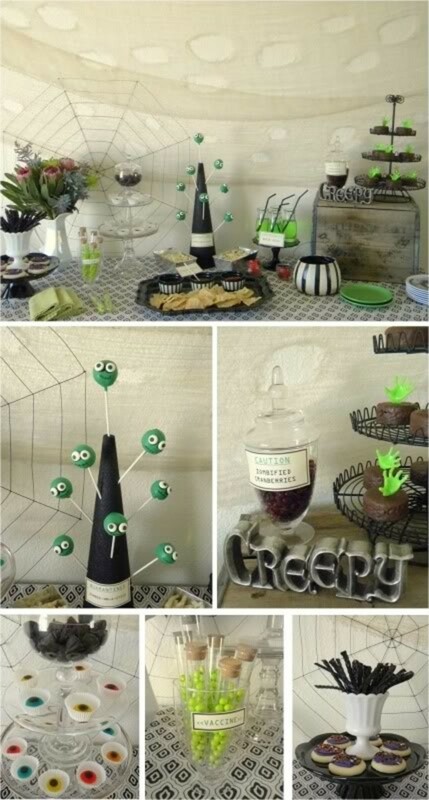 Eek, shriek and be scary with Wants & Wishes…I’m so doing the pretzel skeletons. 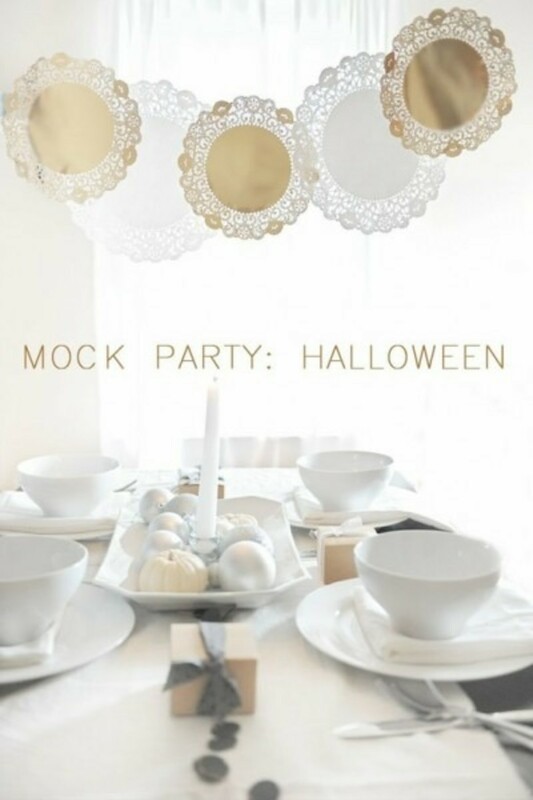 Go non-traditional with your decor…white with pops of color is fabulousness at Hooray. 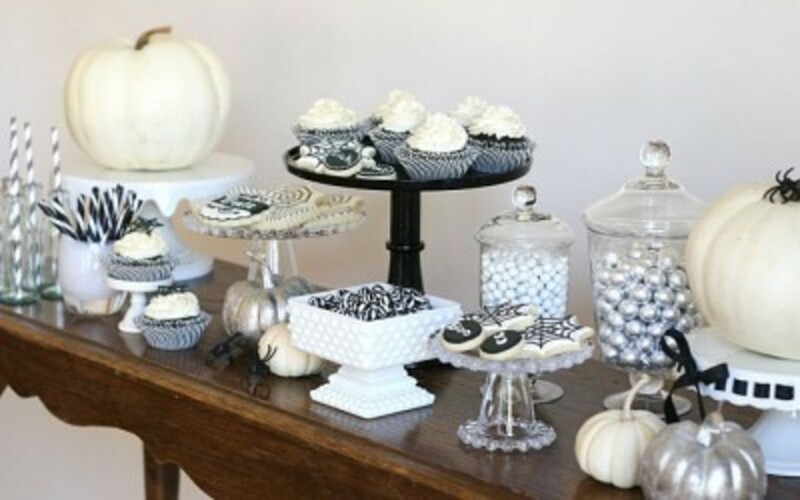 Black + white is a hot Halloween trend…a lovely dessert table from Glorious Treats. 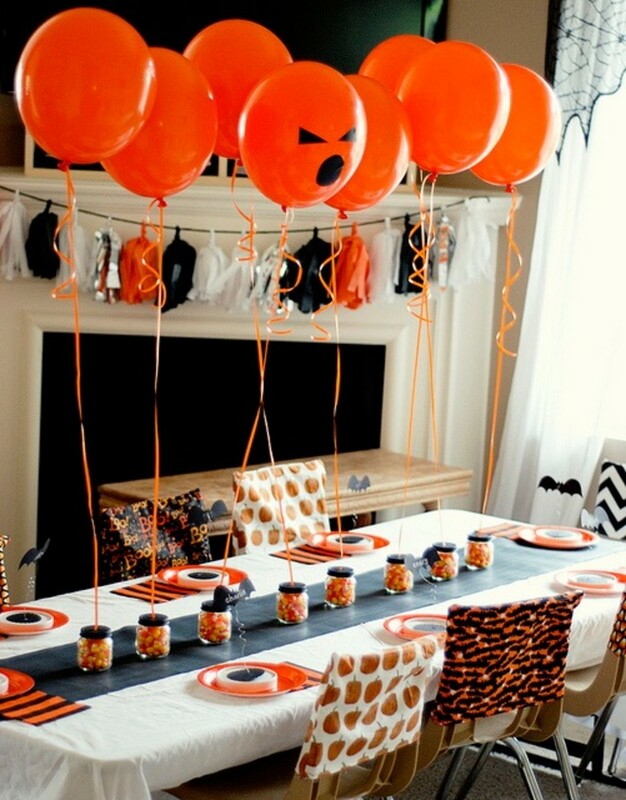 Here it is again, this time as the cutest baby shower theme from Bump Smitten, but how perfect is it for Halloween? 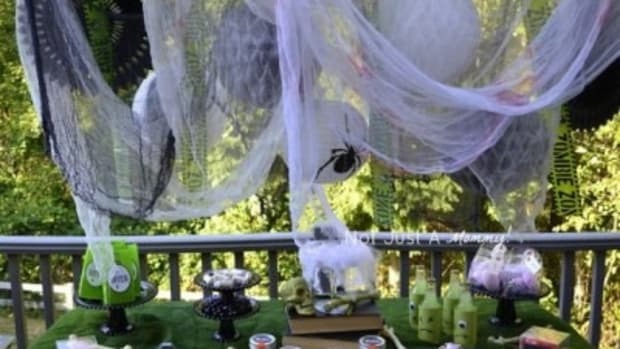 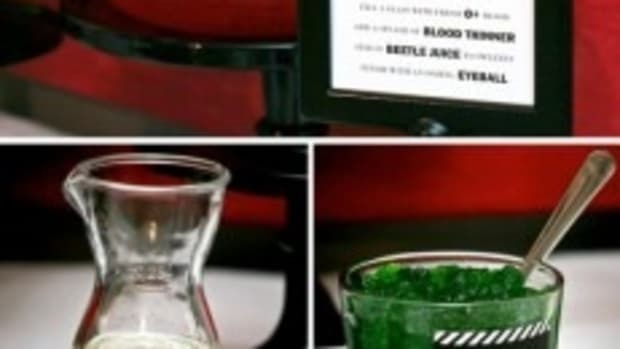 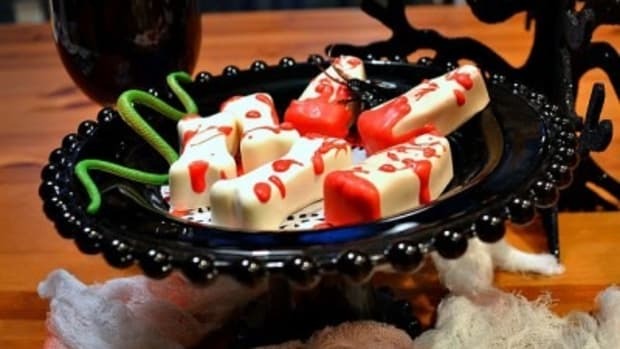 A Halloween Boofest from Sheek Shindigs is right up the alley for a morning soiree. 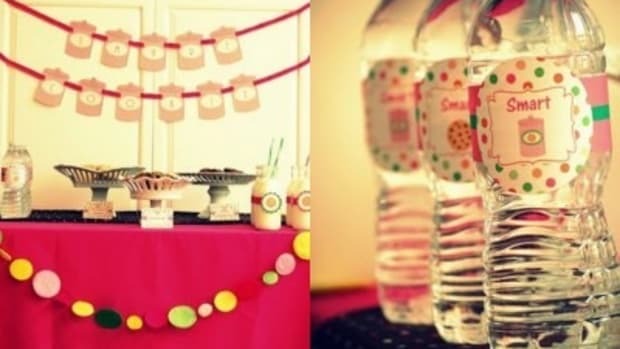 Polka dots never looked so good at local gal Jenny Cookies‘ party featured on The Hostess Blog. 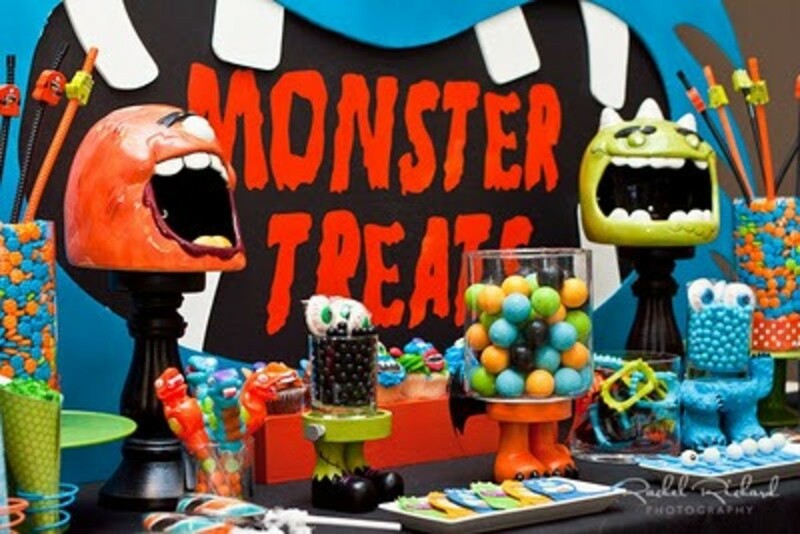 I love the bright colors and monster accents at Setting The Mood. 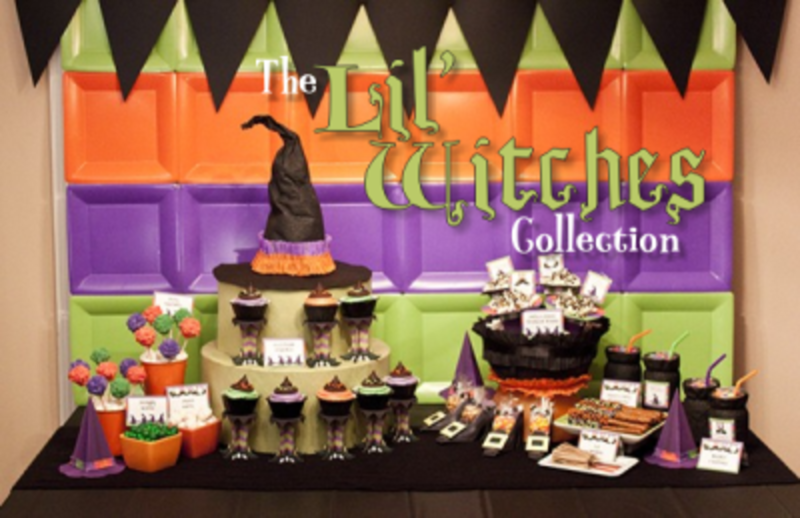 Feeling witchy? 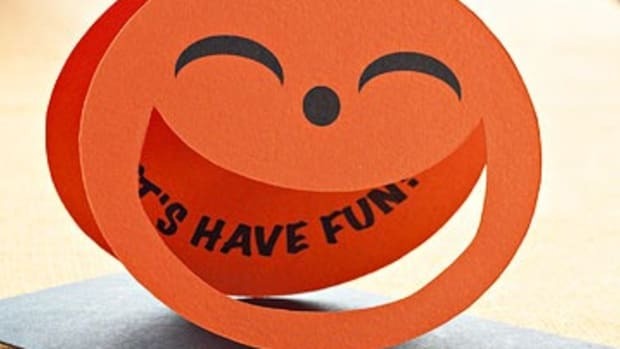 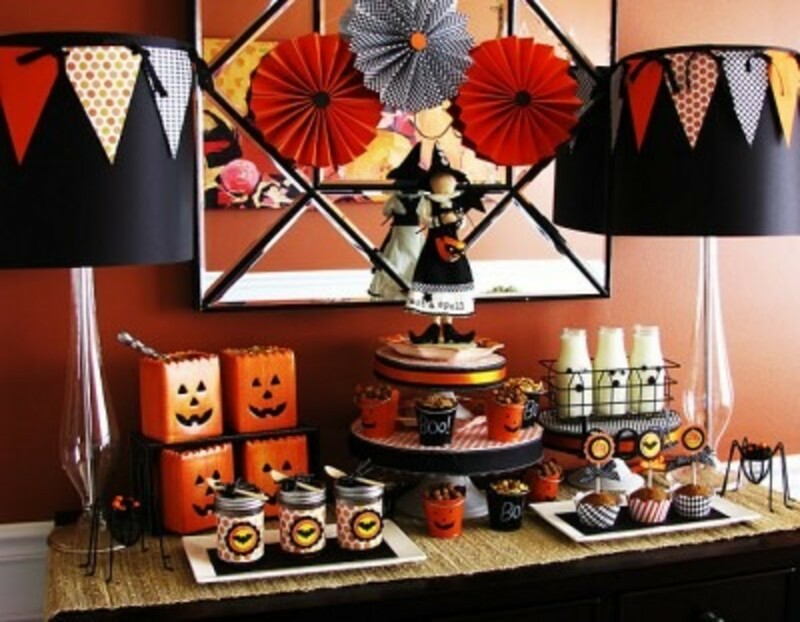 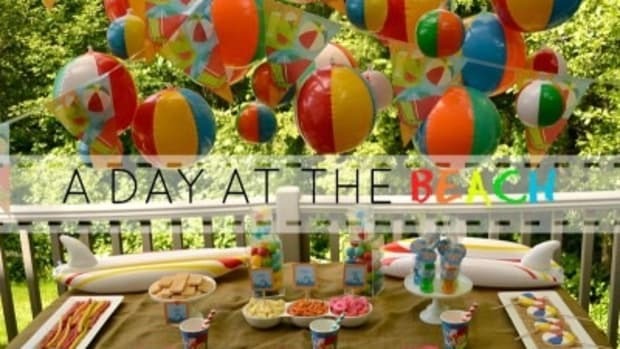 Piggybank Parties always has a fa-boo-lous party on a budget that looks anything but! 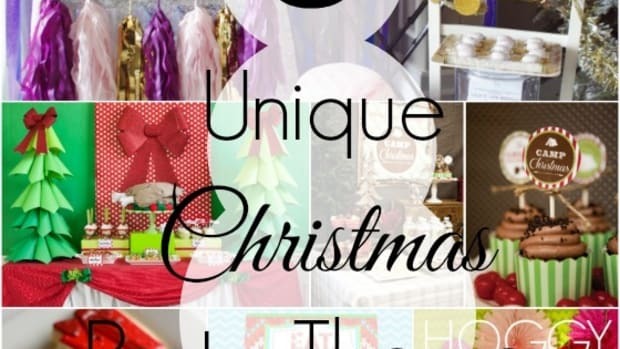 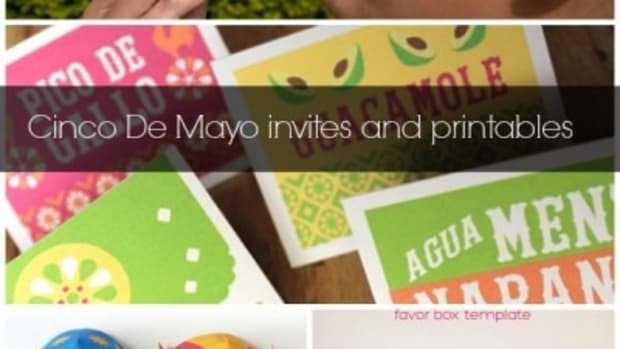 I’ve been sharing invites, fun printables and now it’s time for everyone’s favorite part of the party….the food!